J.D. 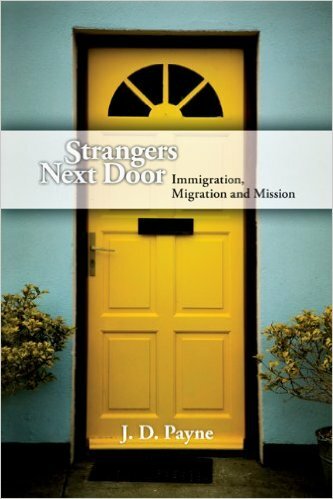 Payne’s 2012 book is very useful for North American churches trying to get a handle on what God is doing in bringing people from every nation to the cities of the US and Canada. Publisher Description: More than ever, North America is being flooded by people from all around the world, many of them here illegally. How should the church respond to these sojourners among us? 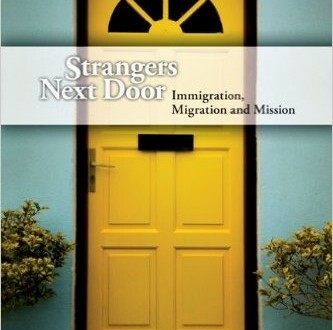 In Strangers Next Door professor of evangelism and church planting J. D. Payne introduces the phenomenon of migrations of peoples to Western nations and explores how the church should respond in light of the mission of God. As we understand and embrace the fact that the least-reached people groups now reside in (and continue to migrate to) Western countries, churches have unprecedented opportunites to freely share the gospel with them. This book includes practical guidelines for doing crosscultural missions and developing a global strategy of mission. It also highlights examples of churches and organizations attempting to reach, partner with, and send migrants to minister to their people. Discover how you can reach out to the strangers next door by welcoming them into God’s family.